When will be Back in Time for Brixton next episode air date? Is Back in Time for Brixton renewed or cancelled? Where to countdown Back in Time for Brixton air dates? Is Back in Time for Brixton worth watching? Documentary following a family who give up their modern lives for one summer to experience what life was like for Caribbeans who immigrated to Britain in the postwar period. A family give up their modern lives for one summer to experience what life was like for Caribbeans who immigrated to Britain in the postwar period. Beginning in 1948, the year the Empire Windrush arrived at Tilbury and discharged its passengers, the Irwin family travel through the 1950s and 60s, guided by presenter Giles Coren and social historian Emma Dabiri who introduce them to their new homes as well as the events of the time. Along the way the Irwins discover the food, work and entertainment of first-generation immigrants making their lives in Brixton. In 1959, the whole family get a lesson in 1950s steel pan from EastEnders star Rudolph Walker, and in 1962, dad Weininger gets some fashion tips from 60s singer Kenny Lynch. In 1966, mum Janice embraces her role as a nurse at a time when the NHS recruited directly in the West Indies for staff. As the family's living situation improves over the years, they decide to see the 60s out with a blues party. In episode two, the Irwin family leave the 60s behind and enter the 70s - and go on to discover how a new generation of Black Britons forged their way through the next three decades of British history. The family is guided by presenter Giles Coren and social historian Emma Dabiri, who introduce them to the first house they will own and the events of the time. In 1976 the family bat an over with cricketing legend Sir Clive Lloyd, and learn about the famous cricket tour in which Sir Clive led West Indies to victory. Moving forward to the 1980s, the Irwins reflect on the Brixton Riots; ‘Lovers Rock' star Janet Kay brings a gift to the Irwin's home and the family join her in a sing-along. To see out the decade, daughters Breanne and Tiana invite their friends along to experience a typical party in 1989 style with DJ and producer Jazzie B. 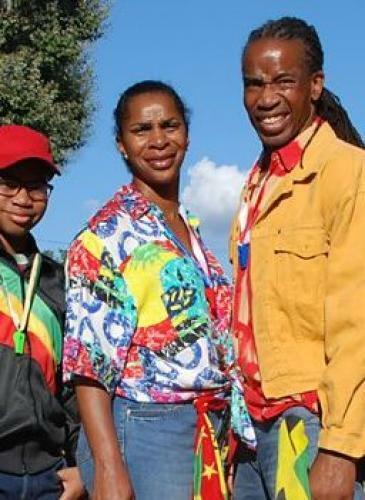 Finally, the family experience the Notting Hill Carnival in 1999 as they reflect on what they have learnt from their time-travelling experience. Back in Time for Brixton next episode air date provides TVMaze for you. EpisoDate.com is your TV show guide to Countdown Back in Time for Brixton Episode Air Dates and to stay in touch with Back in Time for Brixton next episode Air Date and your others favorite TV Shows. Add the shows you like to a "Watchlist" and let the site take it from there.